Trinity Mirror says it has “thrown out the design rule book” with a radical revamp of one of its free weeklies in the North West. 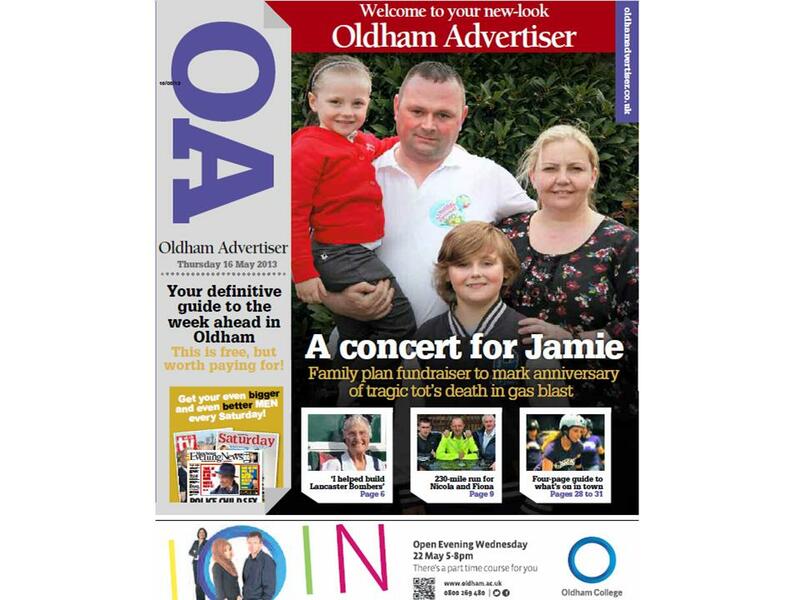 The Oldham Advertiser has undergone a total redesign with a poster-style front page and a digest of the week’s major stories on page three. The new design was created by Spencer Rowbotham, head of creative for Trinity Mirror Regionals, and Justin Connolly, senior designer at the Manchester Evening News. The Advertiser, which read by an average of 85,000 people, now carries what the company says are “shorter, punchier” page leads with an increased story count and new community-focused pages. 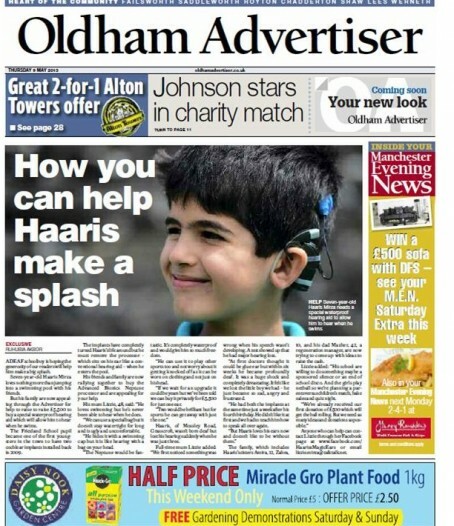 Editor Bethan Dorsett said: “We’ve very excited about the new look Advertiser. We’ll still be carrying all the news from around our community but with a fresh twist. 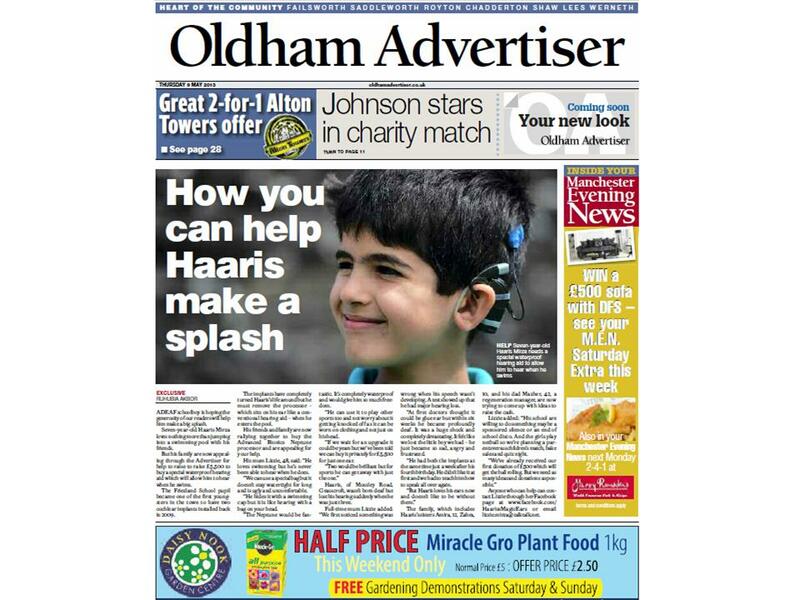 “We aim to make the Advertiser the essential guide to the week ahead with an emphasis on the wonderful characters that make our town tick. “I firmly believe that we are merely custodians of the Advertiser and its true owners are our readers. 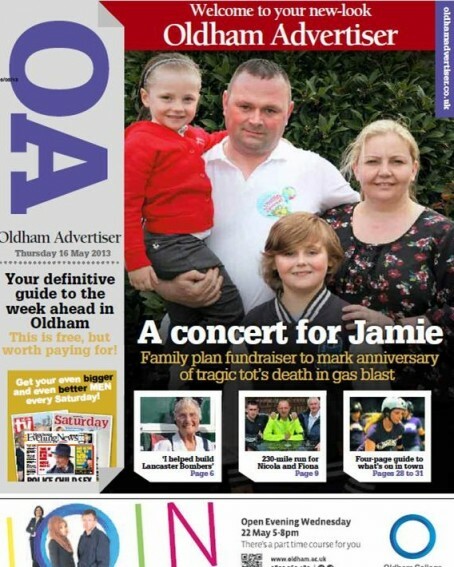 Added Rob: “The focus of the content is on the communities of Oldham. This is their paper and they have a chance to play a bigger part in helping us decide what we publish in terms of news and views. Regional managing director Steve Anderson Dixon said: “We wanted to take a more radical and unconventional approach in design, presentation and content. Nice one, Rob. Big and bold and will attract the readers. Lots of pressure on photographic to keep on coming up with the goods though. I think this is pretty smart to be fair! Why not. Declines in ciculation have been with us for years (for a huge variety of reasons obviously) yet still the majority of papers religiously follow the usual failing formula.. Might as well try something different..
Nice redesign. Looks like a website. Better than the direction of some revamped papers which now resemble freesheets. Good luck with it. Looks like decent human interest stories too. Like it – though I think they have The Indy’s i to thank for a bit of inspiration. Hope others are taking note. “Thrown out the design rule book”? Surely “copied the i “? I like this. However, the industry’s preoccupation with design is just displacement activity in the face of ever smaller editorial teams. Ultimately it’s the quality of the stories that matter. We’ve gone for a similar concept with the design on our new free newspaper in Bournemouth – Seeker News. We’ve also taken inspiration inside from i and some of the American publications we’d been looking at. It’s a straight rip-off of i, isn’t it? Not that that’s a bad thing. I’d like to see inside. I like the Seeker News a lot, Steve. Especially the news map and the headline FLYING SAUSAGE. Proper design work by people who know what they are doing. Bravo! Great revamp! More a read-a-week than a throwaway freebie. Cheers Roy, we have a lot of fun with our sub, on a previous issue we managed to reference 3 Style Council songs on one cover – but that’s just our strange sense of humour. I can’t see a cover price, is it a free ? Like this a lot, well done to all involved. Reminds me of the over-before-it-began Cambridge First by Archant.